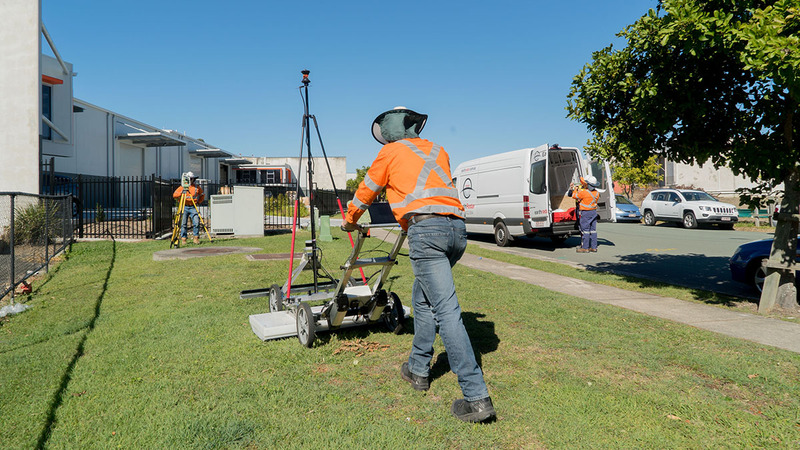 Earth Radar’s team have many years’ experience and are highly trained to locate, verify, survey, map and model subsurface utilities, services and assets. 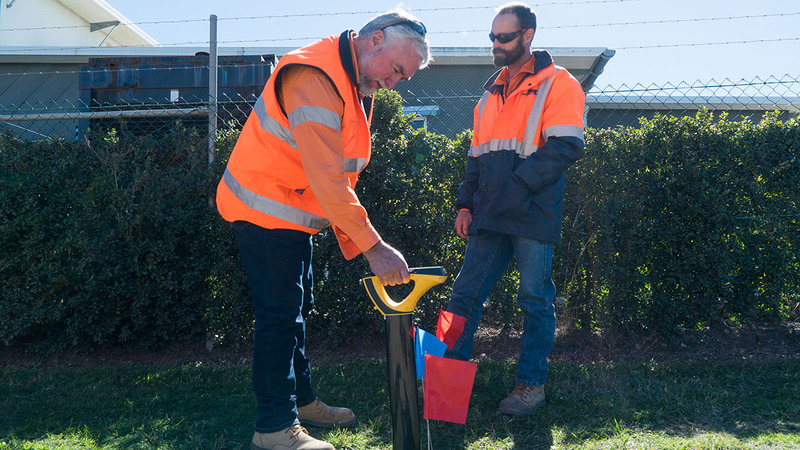 All our experienced Utility Locators are Dial Before You Dig (DBYD) Certified, Telstra Accredited Plant Locators (TAPL) Accredited and have undertaken our extensive in-house training and assessment procedures. All our work is compliant with the Australian Standard for Classification of Subsurface Utility Information (SUI) AS 5488—2013. All the above, especially when integrated with our industry leading LatroTM 3D-GPR system, enables Earth Radar to provide our clients with the best understanding of the subsurface across their project sites. To help facilitate and support the concept and detailed design phase for planned engineering and/or civil works. 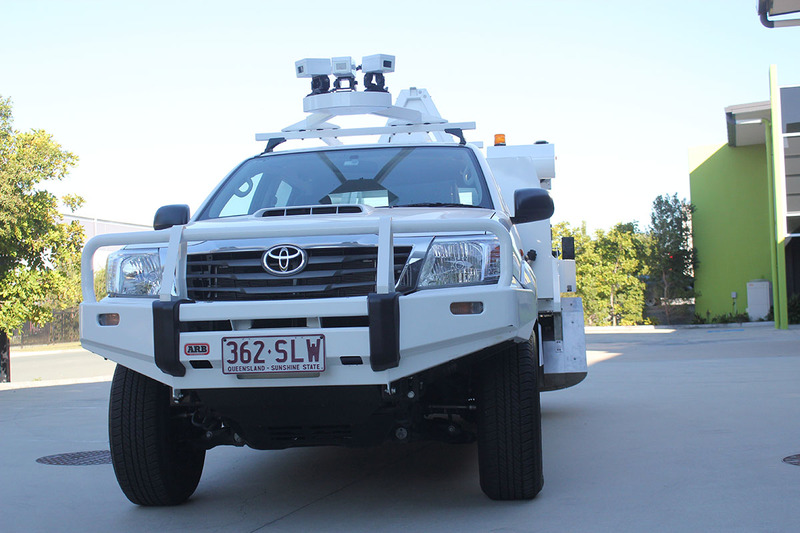 Earth Radar’s team of locators are some of the most experienced in Australia. Through our in-house training and mentoring programs, our locators are equipped to tackle the most demanding environments to generate deliverables that can be relied upon to be accurate. Earth Radar can coordinate and deliver the locating, surveying and mapping of all Subsurface Utility Information (SUI) and subsequent Non-Destructive Digging (NDD), also known as potholing, to verify the absolute position of critical assets as required. By controlling all stages of the SUI locating and mapping process, we are able to deliver an accurate reliable deliverable of superior quality. Earth Radar will work with the client to decide on the most efficient sequencing of the works to maximize efficiency. Generally it is advised to undertake a two-staged approach if NDD verification is required although this is not always possible/practical. Our team of experienced SUI locators working closely with our survey teams will locate the existing SUI to Quality Level B (AS—5488) and map this information. The potholing of critical SUI identified is then coordinated and the exposed assets surveyed to Quality Level A (AS—5488) and the data added to a revised version of the existing drawing(s). The Quality Level A and B information within our drawings provides an additional level of confidence in the existing conditions to be incorporated into the design challenges for the site. To help facilitate and support the concept and detailed design phase for the installation of new cable routes/trenches/directional bores. 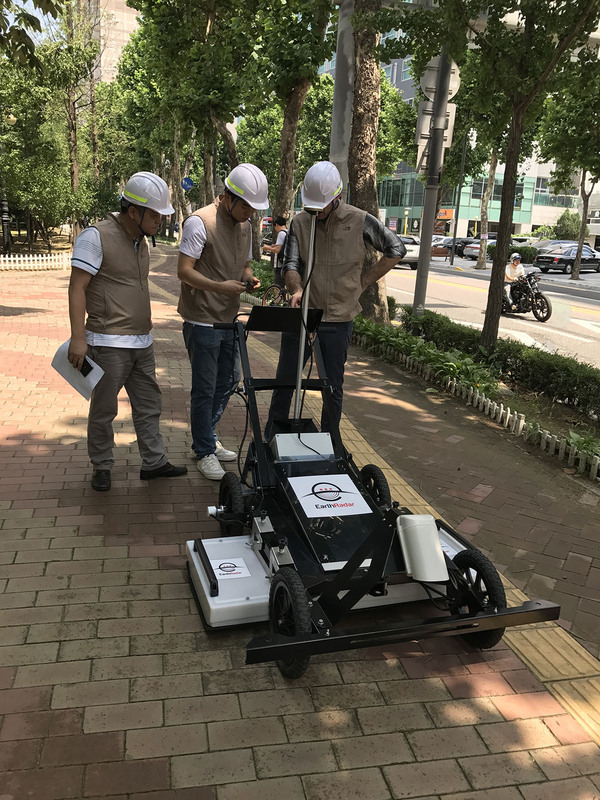 To install a new cable trench along an alignment within a busy road corridor, Earth Radar are able to coordinate the locating, surveying and mapping of all Subsurface Utility Information (SUI) and subsequent Non-Destructive Digging (NDD), also known as potholing, to verify the absolute position of critical assets as required. 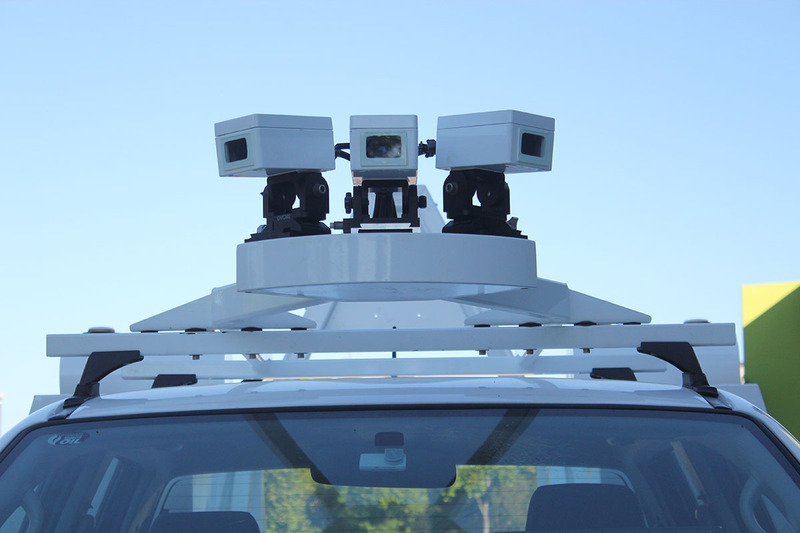 Earth Radar will work with the client to decide on the most efficient sequencing of the works to maximize efficiency. Generally, it is advised to undertake a two-staged approach but this is not always possible/practical. Our team of experienced SUI locators working closely with our survey teams will locate the existing SUI to Quality Level B (AS—5488) and map this information. The client’s design team can then compare the concept design against the mapped SUI to identify the critical points where more accurate information is required. The potholing of these critical points is then coordinated with the exposed assets surveyed to Quality Level A (AS—5488) and the data added to a revised version of the existing drawing(s). This enables the design team to generate their final detailed design. The above approach maximises the value to the client and reduces unnecessary costs. The Quality Level A and B information within the drawings also provides an additional level of confidence and is an effective risk management tool for the civil teams responsible for breaking ground to install the new cable/asset. Where spatial information is required for manhole chambers that are classified as confined spaces. Access to these chambers is highly restricted due to the extreme risk associated with entering confined spaces and the potentially working around hazards such as high-voltage cable joints. Earth Radar have developed a workflow to enable the survey of manhole chambers using a Terrestrial Laser Scanner. This removes the requirement to access the chambers entirely. The resulting point clouds are geo-referenced so that spatial information can be extracted at survey grade accuracies and shown in relation to the above ground information, mapped SUI and proposed designs. The point cloud information can also be provided to the client in a software bundle that enables viewing of the point cloud data without any specialized software installed; allowing access to this high value data-set to any interested party from the comfort of their desk. To help manage the long term security and risk profile of newly installed high-value buried assets (such as optic fibre conduits, high pressure gas mains or high voltage electric cables). Installation of RFID Marker Balls enables the accurate positioning of critical points along the route of buried assets. They are particularly suitable for high-value buried assets or buried assets that would be difficult to relocate once installed through traditional methods. The use of RFID Marker Balls allows critical way-points along a route to be relocated to help mitigate the risks associated with subsequent civil works that may take place within the vicinity of these buried assets. Earth Radar coordinate the procurement and programming of the required RFID Marker Balls ready for installation. A client specific message can be programmed onto the RFID Marker Balls. These balls were then installed at pre-determined locations along the assets route either as the asset is installed prior to backfilling or by setting out the locations and potholing. 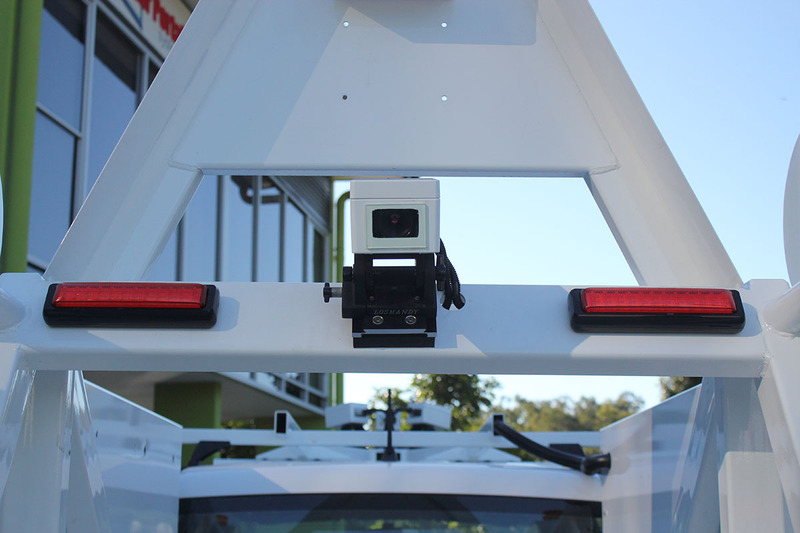 Once installed Earth Radar undertake an as-built survey and verification of each individually installed RFID Marker Ball and generate an AutoCAD drawing showing their location as well as generate a GIS output compatible with the clients existing GIS software environment. As required, Earth Radar then provide locating services to map the locations of installed RFID Marker Balls. To help facilitate and support the concept and detailed design phase for civil works. Earth Radar’s team of locators are some of the most experienced in Australia when it comes to working in and around Electrical Sub-Stations. Earth Radar are able to coordinate the locating, surveying and mapping of all Subsurface Utility Information (SUI) and subsequent Non-Destructive Digging (NDD), also known as potholing, to verify the absolute position of critical assets as required. Earth Radar will work with the client to decide on the most efficient sequencing of the works to maximize efficiency. Generally it is advised to undertake a two-staged approach but this is not always possible/practical. The above approach maximises the value to the client and reduces unnecessary costs. The Quality Level A and B information within the drawings also provides an additional level of confidence and is an effective risk management tool for the civil teams responsible for breaking ground. Fit for purpose; the key to achieving a successful solution. We make sure that the end product we deliver meets your requirements and seamlessly fits into your existing workflow and software environment. It is important that the deliverables Earth Radar generate both meet and exceed the expectations of our clients. What is the point of having some of the best technology if the data extracted is un-readable? We liaise closely with our clients and maintain an open line of communication to make sure the deliverable we are producing meets our client’s needs and expectations. Whether this is working to a client’s existing locating, survey or CAD standards or whether we use our own CAD standards designed specifically to ensure data clarity, Earth Radar are happy to tailor our approach to your needs. Our range of deliverables vary from simple PDF reports through to high-resolution 3D digital models compiled from multiple data sets. The data and drawings we produce can be delivered for use within industry standard CAD environments (such as AutoCAD, MicroStation or 12d) or within your organisations existing GIS environment (such as ArcGIS or MapInfo). Our team are experts at bringing different data sets together and presenting them in a clear, concise and easy to interpret way. When designing new infrastructure around existing subsurface assets, services and utilities, sometime the positional accuracies that can be achieved by EMI and GPR (Quality Level B locates) are not sufficient. In these instances, the only way to validate and verify the exact position and depth of a service or asset is to excavate and expose it. Through undertaking a Quality Level A investigation through Non-Destructive Digging (NDD) or ‘potholing’, it is possible to record and map the critical subsurface features and assets to survey grade accuracies to ensure the information used to inform the decision making process is of the highest order of accuracy. With Earth Radar being part of the VAC Group, we are able to coordinate and manage any NDD requirements while maintaining a ‘one stop shop’ solution for our client. By utilising the VAC Group’s hydro-excavation trucks to pothole onto the identified critical targets, our team can verify and survey the exposed assets and then integrate this higher order accuracy information into the existing CAD drawing, refine the exiting 3D model or generate a report/dataset for import into the clients existing software/model(s). 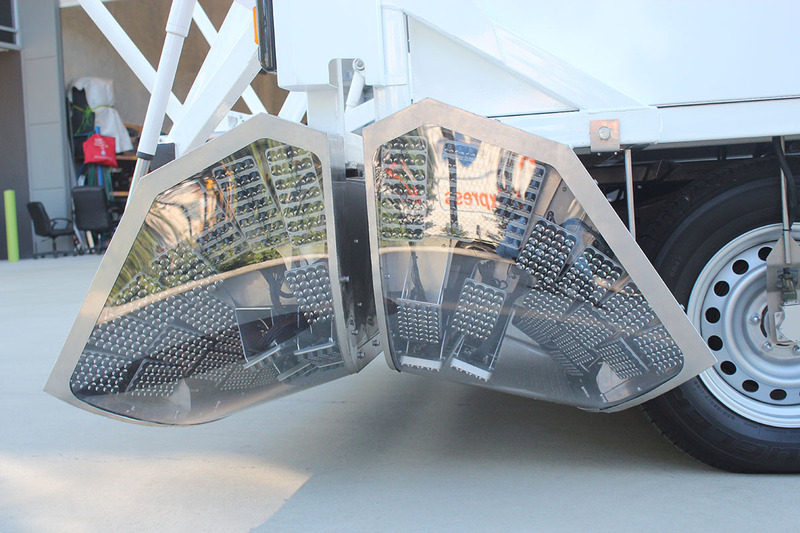 VAC Group’s hydro-excavation trucks are designed, tested and built in Australia and as such are able to operate in and withstand the unique challenges presented by Australia’s climate and conditions. Through providing all services through our in-house specialists, Earth Radar and VAC Group aim to make our clients life as straight forward as possible, with a single consistent point of contact to manage the project from concept to completion.